The Enviva Forest Conservation Fund targets protection of sensitive forest areas that have been identified by the Endowment in consultation with other respected organizations. Read more about the areas being protected thanks to the work of the Fund and its conservation partners. 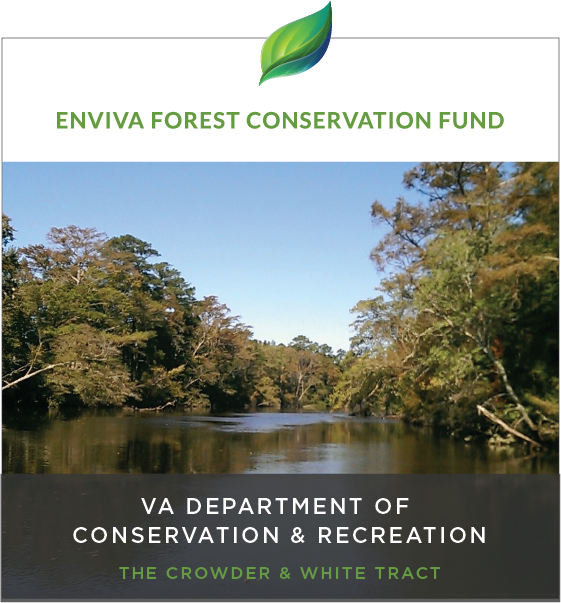 A matching-fund grant from the Enviva Forest Conservation Fund is helping to permanently protect cypress-tupelo-dominated swamp forestland and reclaim previously forested land on 220 acres along the Nottoway River in Southampton, Va., known as the Crowder and White tract. Anticipated 2016 project closings are expected in early 2017. Please check this page often for updates regarding important Enviva Forest Conservation Fund milestones.